So you’ve decided to buy a home or perhaps to sell your current one. Now the million-dollar question eats away at you. Who do I get as a realtor to represent me in the homebuying or homeselling process? After all, this is the biggest monetary investment an individual will ever likely have in their lifetime. You’ve made the decision that entrusting this process to a realtor, who is experienced in this area, is the common sense thing to do. Where do you find the right realtor for you? And how do you ensure you pick the right realtor? 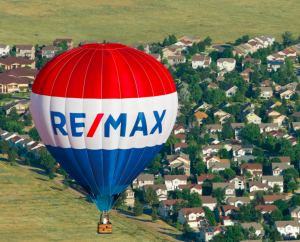 Pat Hare, who owns RE/MAX Real Estate (Central) with his wife Denise, has built an incredible business model as Central, with 285 realtors, continues to excel in the real estate industry. Recently, it captured the award as the top-producing single RE/MAX office in the world in 2017. Realtors with the local firm, which began operations in 1984, were involved in 5,046 transactions last year. And it was the 19th consecutive time the firm has captured that honour. So Hare knows a thing or two about the industry and the market. When it comes to finding a realtor, he says the consumer has to look at a few things. “What’s their knowledge of the area? How long have they been in the business? What are the plans for the sale of the home? What are they going to do with the listing? What’s their track record? What’s their experience?,” says Hare. And when it comes to real estate, Hare has a favourite line. So doing your homework as a buyer or a seller is extremely important. With the spring real estate market upon us, more homes are going to be listed. More homes are going to be bought. And realtors will be lining up to forge relationships with more clients. The Alberta Real Estate Association says consumers need to find the perfect fit for their personality and their needs as choosing a realtor is a personal decision. Prospective realtors can be found through referrals, word of mouth or marketing and advertising channels. The Real Estate Council of Alberta says written service agreements are required in the province when you are the client of a residential real estate professional. “After you choose a real estate professional to work with, one of the first things they should show you is RECA’s Consumer Relationships Guide (Guide). The Guide is a mandatory document, which real estate professionals must provide to, and discuss with, consumers they’re working with,” says RECA.